The first time I tried eggnog, I hated it. I was about 8 years old over at some friend's house and I remember being presented with this cup of lukewarm, fluorescent yellow, eggy muck and being fed some BS about it being an American tradition that I would just love. I think I lasted two sips. But times have changed. I don't know if it's because of my tastebuds developing or simply down to the number of times I've watched National Lampoon's Christmas Vacation over the course of the past 20 years (anyone want to buy me one of these?) but adult me is certainly a fan of the stuff. Start off with a countertop covered with all of the best and least healthy things you can find. Eggs, sugar, cream, butter, chocolate. You're basically making a cake, which you're then going to drink. Fabulous. Get your Christmas tunes on full-blast at this point. Cut two Mars Bars into smaller pieces and stick in a glass bowl along with 50g unsalted butter. (I defy you to find a recipe anywhere that starts with that first step and doesn't turn out to be AWESOME). Gently melt the lot over a bains-marie, stirring constantly. 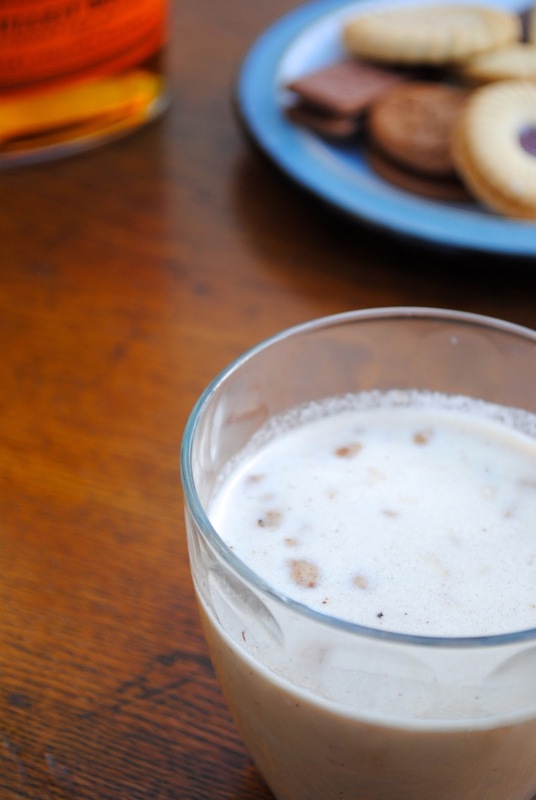 Pour in 250ml double cream and whisk together, don't worry about a few little chunks of nougat here and there. Normally I'd be against chewy drinks, but in this case it's not necessarily a bad thing. It all goes down the same way and all that. Set this mixture aside and allow it cool. In a separate bowl, whisk together 6 eggs until they're all frothy. Stir in about 130g of brown sugar and 130ml of your favourite chocolatey milkshake. Full disclosure: I stink at cracking eggs. 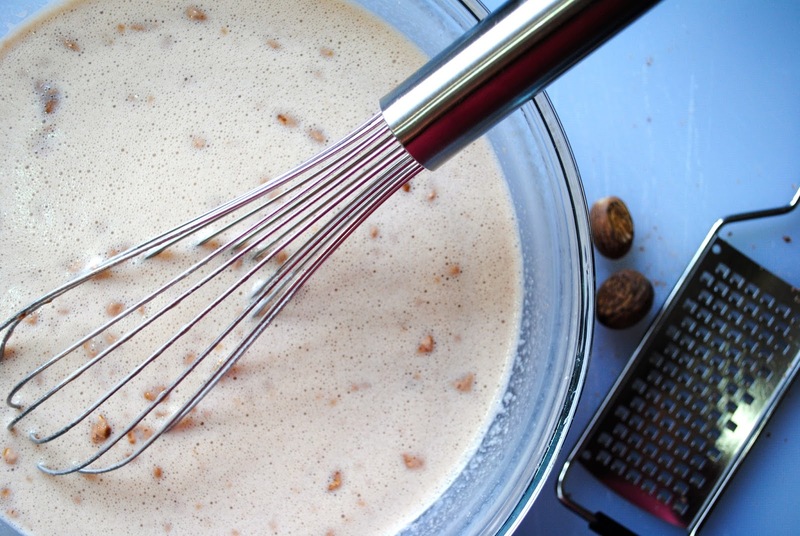 Into your egg mix add about 1/2 teaspoon quality vanilla extract and a healthy grating of nutmeg. Normally I'm not big on nutmeg, but around Christmastime it just seems to go with most things. Coincidentally I read once that nutmeg is a mad hallucinogenic. Apparently eating them whole can send you on one of those lose-yourself-in-the-forest-for-days types of trips. Obviously I would never condone such behaviour but equally so, anyone who can verify this information - please get in touch! Now for the fun part. The original recipe called for dark rum and brandy whilst I opted for white rum and bourbon, with a dash of Bailey's thrown in for good measure. At this point any whiskey/rum/brandy combo can't be wrong. I went with about 100ml of bourbon, 50ml rum and a solid 'glug' of Baileys, but I'll let you be the boss of how boozy you want to go. 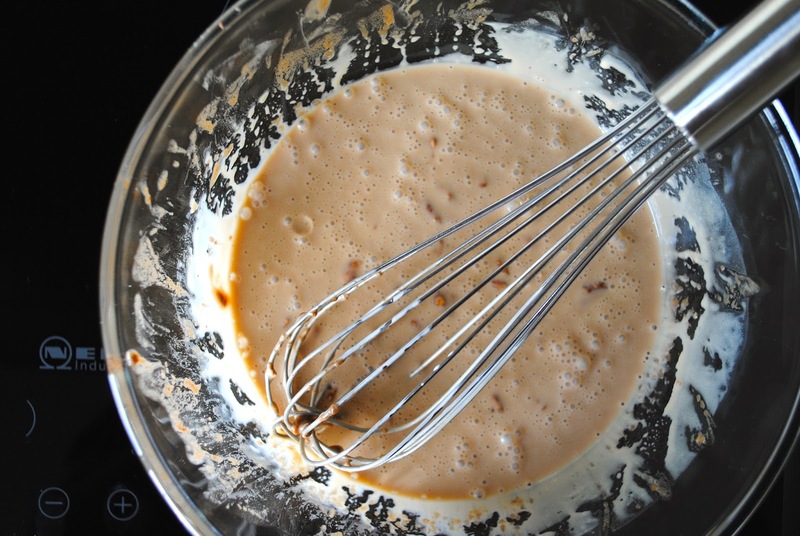 Mix your liquids together and give it a good whisk. Add a fresh grating of nutmeg, cover with film and set in the fridge to cool for a bit. Pour yourself a whiskey whilst you wait - your job is done. Once chilled, ladle into glasses and serve. Merry effing Christmas.